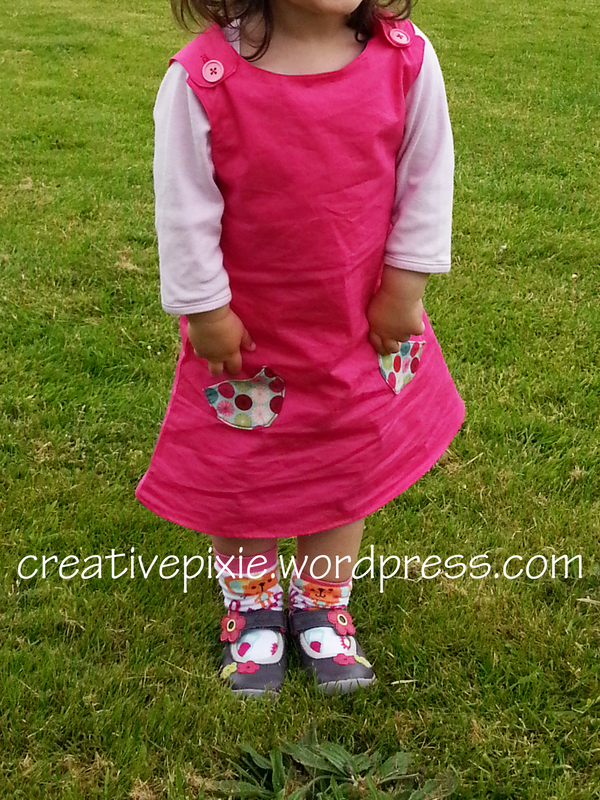 Well I finally got round to making Elsie a dress. I was going to follow the Kwik Sew pattern I ordered from Abakhan however when I looked at the pattern I realised that I hadn’t ordered enough fabric – duh! So with the pink fabric and buttons that I did have I thought I’d make up my own pattern. I use one of her dresses as a rough template and drew round it onto some wrapping paper. I didn’t have enough fabric to fully line the dress so I only half lined it. I used some fabric from my stash to make pockets, that really brightened up the finished dress. I’ve learnt a lot from making up this dress so hopefully my next pattern will look better. That’s such a super cute dress! And I love the pockets too. Very impressive that you just made it up yourself! I think the pockets are the best bit 🙂 So does Elsie, she was quick to put things in them when I put the dress on her. 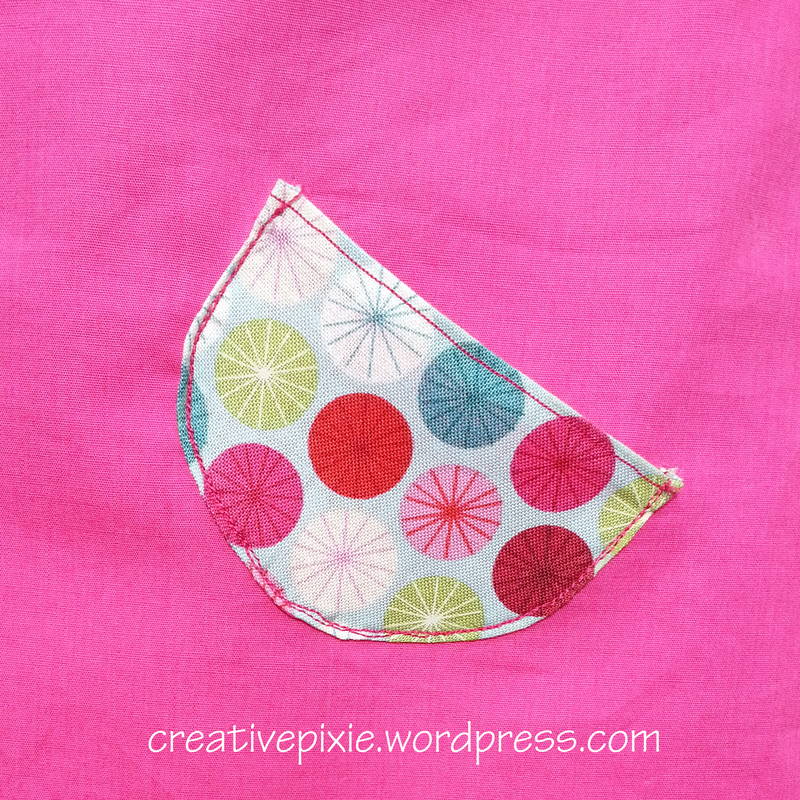 You are so talented, the fabric for the pockets is so cute. Love the play dress, the pockets are so cute. 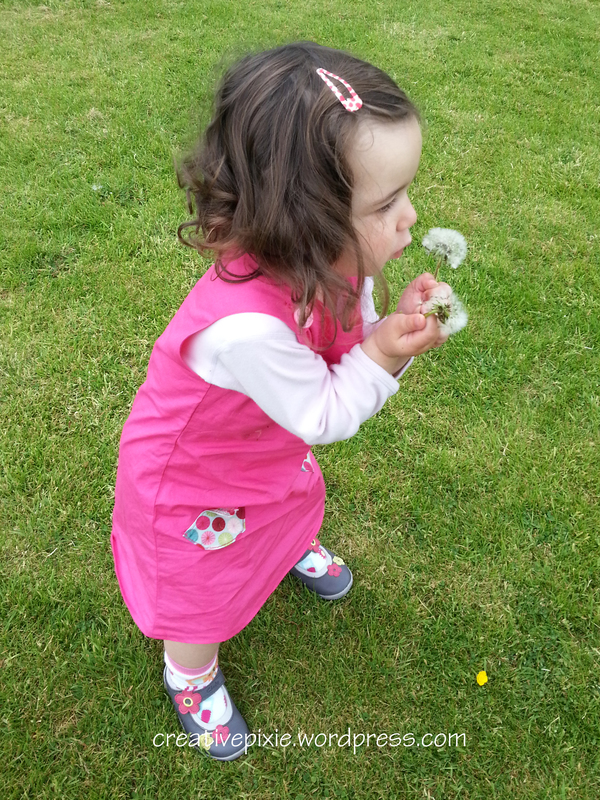 My mum used to tell us the story about my sister, mum would make pretty little pinafores with pockets in for sis to play in the garden, guess what my lovely sister would keep in the pockets……. worms! So don’t forget to check the pockets before you wash Elsie’s dress, you never know what you will find. Urgg worms 😛 She does like to collect stones. I love the little dress that you fashioned from another dress. You are very clever and your little girl is very lucky to have such a talented Mommy. Thanks for sharing. This is lovely, can’t believe you’re able to make up your own pattern, it would leave me a nervous wreck! 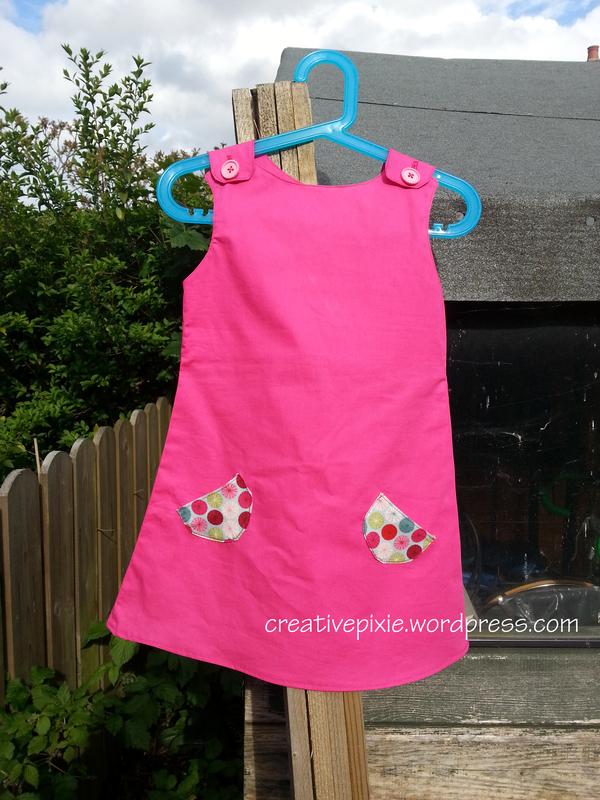 What a lovely pinafore dress. I am into these myself and have made a stack for my daughter over the last few months! Was this your own pattern or one from a shop? Just re-read the start of your post! Need to get my eyes tested!! !